Ever thought “Screw it, I’m on holiday”? Of course you have and that’s OK! In you’re in Ibiza you should absolutely indulge in delicious cocktails at one of the island’s brilliant bars, followed by dancing all night long. When you arrive at dinner, go ahead and order all the damn bread baskets you like, and at least once during your stay, do try restaurant Los Otros vegan, salted peanut butter balls rolled in cookie dust and coated with tempered dark chocolate. Yes, they are real! Ibiza will forever be known as the land of yin and yang. So while we actively encourage you to go and live your best life, we’re also keen on you trying all the wonderful wellbeing-boosting activities the white isle has to offer. Remember it’s all about balance. With all our recommendations, you’ll be able to have your cake and eat it too. 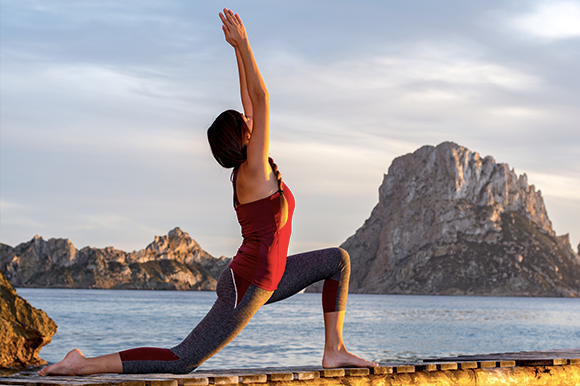 We’ll get you to the route to stay healthy while you’re in Ibiza with these mantras. The first order of everyday should always be a big, beautiful breakfast, no matter where you are in the world and particularly if partying has taken up most of your agenda. 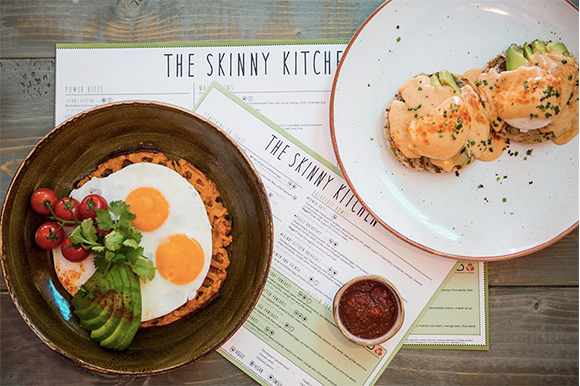 For a breakfast of champions, choose from healthy hangouts like The Skinny Kitchen, Passion, and Café Bondi or Musset in Santa Gertrudis. Between these options you’ll find pancakes that dreams are made of, scrumptious smoothies and an abundance of avocado based dishes! Can’t sleep after a late night? Can you still feel the bass? Unwind with guided meditations from a wellbeing app – something every phone should come with as a prerequisite. 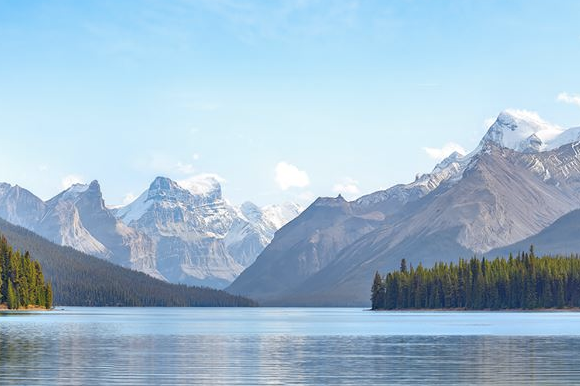 Try Calm for 2 – 20 min breaks of soothing sounds and serene imagery, Happify for interactive games that boost happiness and Headspace for a little peace of mind. Feeling really lethargic the morning after the night before? Kundalini yoga is an ancient practice that helps channel powerful energy and transform your way of life. Certain poses can help you break bad habits and if you couple this with the magnetic energy of, say, Es Vedrà, you could make a serious breakthrough! There’s a sequence of poses that give you an exceptional core workout and can activate the third chakra, the energy centre that’s the source of your willpower – this is the key to empowerment. 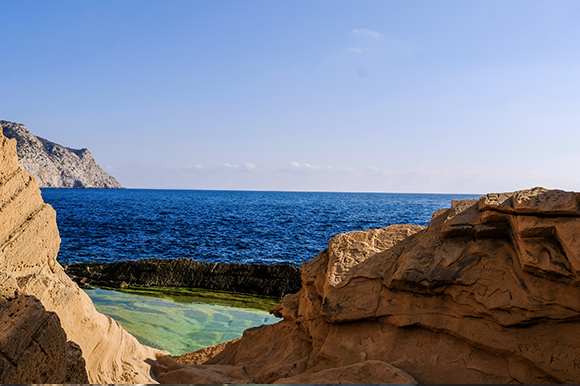 Nothing centres you quite like a long walk along one of Ibiza’s hiking trails and taking in the beauty of the Med. Relaxing poolside is good for your body but seeing the island by foot will feed your mind and soul. Hiking is a low maintenance way to stay active whilst you’re in holiday mode, and enjoy sight-seeing in a way that improves your wellbeing. For suggestions on where to hike, read about the best places to hike in Ibiza.